The call for mandatory evacuation didn’t scare us; the city of Long Beach stretches between the Atlantic and the bay with less than a mile across. It often cried wolf before a storm. “Guys, don’t go crazy packing—we’ll be home in a day or two. Just two outfits and a sweatshirt.” Andrew dropped his baseball gear on the wooden floor next to Stephen’s new guitar amp; Elijah and Aaron left their video games on the coffee table. Jordan threw a few Barbies back in her toybox. I finished a load of towels and left them in a laundry basket on the floor. I grumbled, but at least our dog could stay back too. I drove our five kids to my parents’ home on Long Island’s north shore, away from the ocean. As the wind howled, trees cowered; one snapped and knocked down power lines. In the dark, I checked my glowing phone every two minutes. “I know.” I dialed again. Why wouldn’t he answer? Was it worse than I imagined? If anyone asked, I’d smile and answer, “We’re okay.” We were a healthy family, had food and survived Hurricane Sandy; how could I complain? So we endured. God provided us with strength to deal with the many challenges and inconveniences. My mother-in-law stayed with relatives; we moved upstairs in her two rooms while workers gutted the first floor. 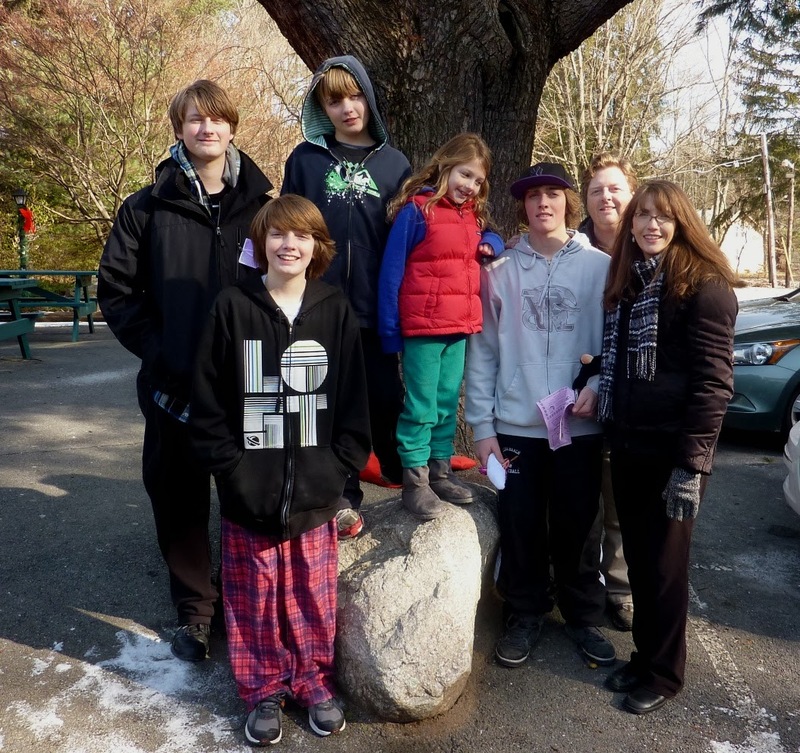 The kids slept on blow up mattresses or piles of blankets for two months. Without heat and hot water, we warmed pots of water for bathing. We cooked frozen food in a toaster oven. On Thursday nights, we gathered ten garbage bags of laundry to wash at the Laundromat and drank coffee. After so much was taken away, we rejoiced at every step back to normalcy. Even clean clothes. Government aid (FEMA) covered the initial cost of gutting our house, but we were left with a skeleton of a house without kitchen, first floor bathroom, or even doors. Finishing the house would cost five times what we spent on de-molding. His whispered words sounded painfully loud, but I nodded. I knew. I wanted to curse the storm for changing everything, but I prayed instead. The day after we talked about me getting a better job, I was promoted at work; I’d work nine to five at double the pay. Thank you, Lord. Having more money helped, brought us closer to enough, but without having flood insurance, fixing our house still seemed impossible. Our home felt more like camping, like we’d be camping forever. They’d set up their offices at our church since the storm hit, but we never thought to ask. Four weeks after applying, we began telling ourselves, “There are so many people who need help more than us. We’ve been blessed with a healthy family, and…” but truth is we were disappointed before we ever got an answer. Five weeks after applying, we got a letter from Samaritan’s Purse—a “Yes” letter. Our house would be fixed—mended by the loving hands of God. Today, willing volunteers show up in orange shirts, ready to help us rebuild and share God’s love with our community. I look back at this year and the time wasted worrying, and He reminds me: “See how the lilies of the field are clothed?” (Matthew 6:28-34) How can I ever doubt how God provides again? Even after a storm.